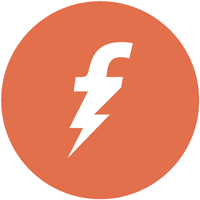 Freecharge – Get Rs 50 Cashback on Rs 50 Recharge (Account Specific). Freecharge is sending continuously account specific offers on our emails, but unfortunately its impossible to check coupons in real time, Most of time we have seen Many peoples are unable to get benefit of account specific offers. Note- This is an Account Specific Code and will work only for those users who got the Email/SMS from FreeCharge. So check your Email/SMS. So Hurry up..
How to Get Rs 50 Cashback on Rs 50 Recharge at FreeCharge ? 5) Apply Coupon:- 50RC let us know if you have another coupon also mention the validity. 10) Promo code/offer is only valid for eligible customers receiving the communication via Email, SMS or App Notification.